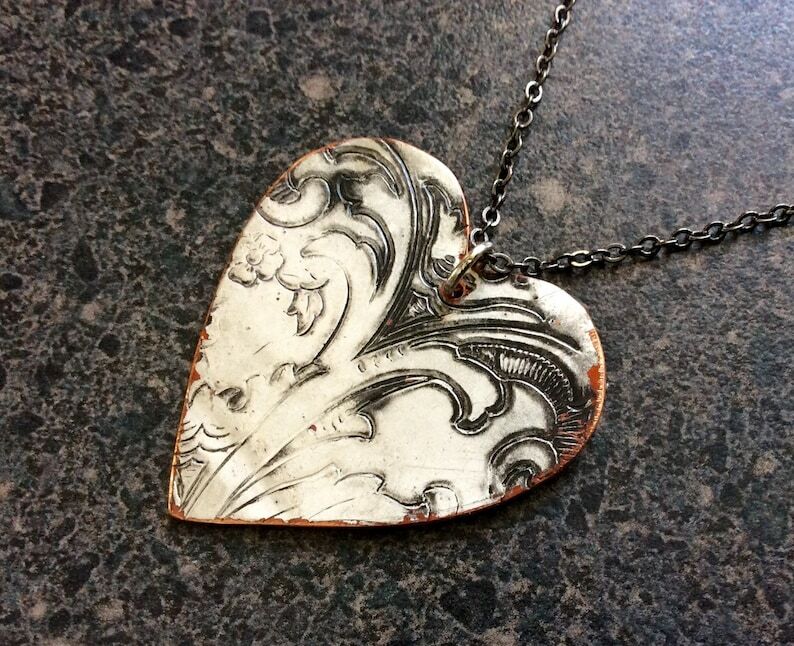 RUSTIC HEART Pendant is the perfect Valentine's Day gift for the woman who likes to wear unique, one of a kind pieces. I created this RUSTIC HEART by repurposing an antique silver plate tray. The silver plate has been treated to further enhance this beautiful damask pattern. The embossed pattern is vintage silver plate, with the pattern highlighted in whites, grays and copper, I then hand sawed, filed, drilled, sanded and sealed this large pendant to create this one of a kind piece. RUSTIC HEART is shipped professionally tagged and boxed - Perfect for gift giving!